Beautiful! Love your watercolor expression, Estela! 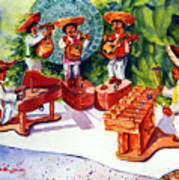 We just came back from Mexico, I really can feel the culture through your work, well done!! Many thanks for your nice feedback on my work, I really appreciate it!! Thank you too. 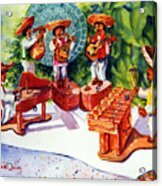 I've gone three times to Mexico. I love its people and their culture. 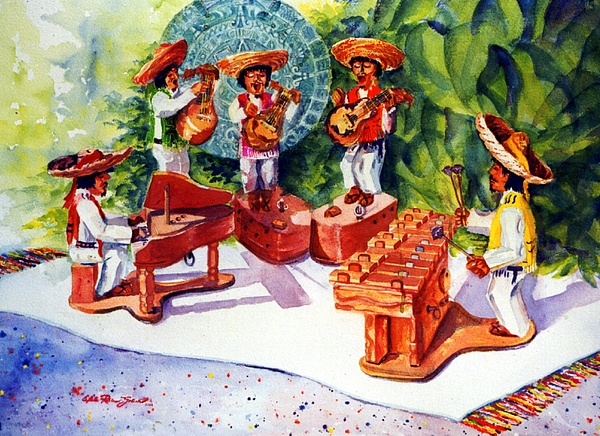 Mexican musical boxes of mariachis painted in transparent watercolor. The Aztec Calendar at the background. 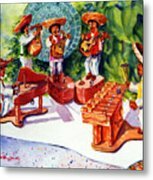 Cajas musicales de musicos mexicanos-mariachis, pintados en acuarela transparente. Al fondo el Calendario Azteca.